A company’s digital assets can be just as valuable as its physical property. Make sure you’re protecting these assets with the same level of care and attention. Companies now face new challenges and liabilities with the rise of everything digital, from data security to changing privacy regulations to employees posting information on social media. It’s crucial that you start focusing on protecting your company’s digital assets, not just physical assets or cash. And there may be many online vulnerabilities you haven’t yet thought of. First, let’s look at common types of digital business assets you may not consider, and top strategies for optimal digital asset management (DAM). Business assets range from cash and desktop computers to equipment and buildings. But digital business assets can be a lot harder to grasp. Companies that offer digital goods can sell everything from software to eBooks to video games. Consider everything that exists online these days – social media content, company logos, shared spreadsheets; even photos from company events. All of these aspects comprise what are considered your digital assets. Website and blog content. Not only is the content you’re posting valuable for your audience, it’s also copyright-protectable. Ideas and procedures. If you and your team have developed unique concepts or business processes online, these are valuable and are considered digital assets. Some companies have their programmers create totally new programs and databases, for example. Smart employment contracts routinely outline that these pieces of intellectual property belong to the company, not the individual who created or helped create them. Client or customer lists. If you send out a newsletter to leads or clients, for example, the list you pull from has value. It goes without saying that sales contacts and customer lists have immense worth. Think about all of your competitors that would love to have access to those names. These lists need to be secured – legally and digitally – for necessary employee-eyes only. Logos and design elements. Your logo and often your website design is copyright protectable. This is considered intellectual property and has value, just like any text your employees create. The first step of proper digital asset protection is recognizing everything that has value for your business. Then create a detailed inventory of it all, including what’s stored where – in the cloud, on an employee’s smart phone or electronic device, or on a computer desktop. You’ll also need to create a list of whether these assets have any type of password protection in place or similar restrictions. Compile a list of this information and you’ll be able to better assess which areas need improvement or added security. Finally, make sure you have legal protections in place, often in employment contracts and email signatures, that further protect them. Backup everything regularly. Backing up your files – meaning saving everything in multiple locations – is now even easier with cloud storage. You can even double up by backing up on a cloud platform that can be accessed anywhere there is an Internet connection, like Dropbox, plus saving it again on an external hard drive. Include digital considerations in NDAs. Non-disclosure agreements (NDAs) are fairly standard for companies, but changes in the digital realm bring new must-haves in these agreements. Make sure you address digital assets head-on by making it clear in NDAs that if proprietary digital products or information is shared or claimed by an employee, there could be legal ramifications. Copyright and trademark protection. Just because online content is subject to copyright law doesn’t always mean that ownership will be black and white in a courtroom. Take protections a step further by trademarking your company’s logo or registering online content for copyright protection. Any processes your company uniquely creates can also be patented. Discussing options with a legal professional is always a good first step when considering registrations of this nature. Hire and consult with experts. 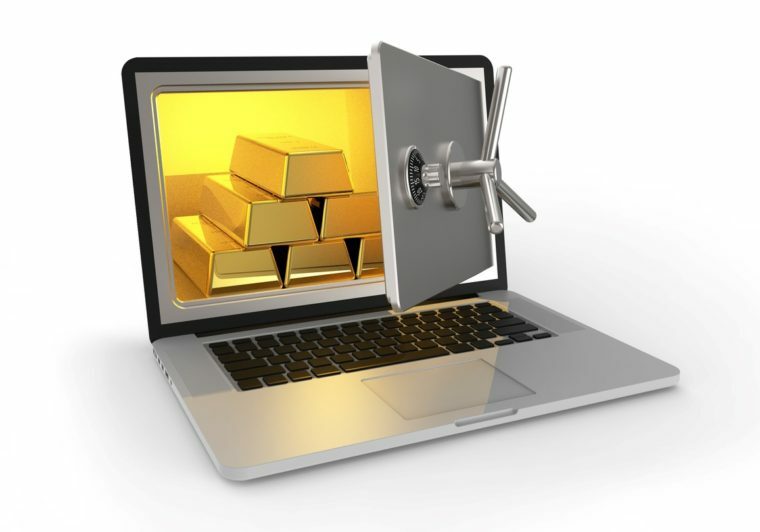 Jobs in the realm of digital asset protection exist to address these issues. In addition to educating employees about the risks that online interactions bring – and if your company has a great deal of unique digital assets – it may be a good idea to invest in a new position. DAM experts will be able to implement security measures more easily and manage accessibility. These professionals will also be able to ensure that any regulations and industry best practices are being followed. Integrate DAM software. TechTarget advises that any team adapting workflows to address digital assets needs to implement some kind of DAM system. Files can be easily searched and stored in these platforms. This software can be used to manage all media content, such as photos and videos, and can assist companies in managing necessary outgoing permission requests or incoming inquiries. As data security and storage technologies evolve, the ways you approach managing and protecting digital assets need to be updated regularly. And businesses must consider digital assets in accounting, cybersecurity, and legal ways. It’s your property. Protect it. At Padula Bennardo Levine, LLP, our Boca Raton lawyers assist business owners with a variety of legal needs. Get in touch today to learn more.